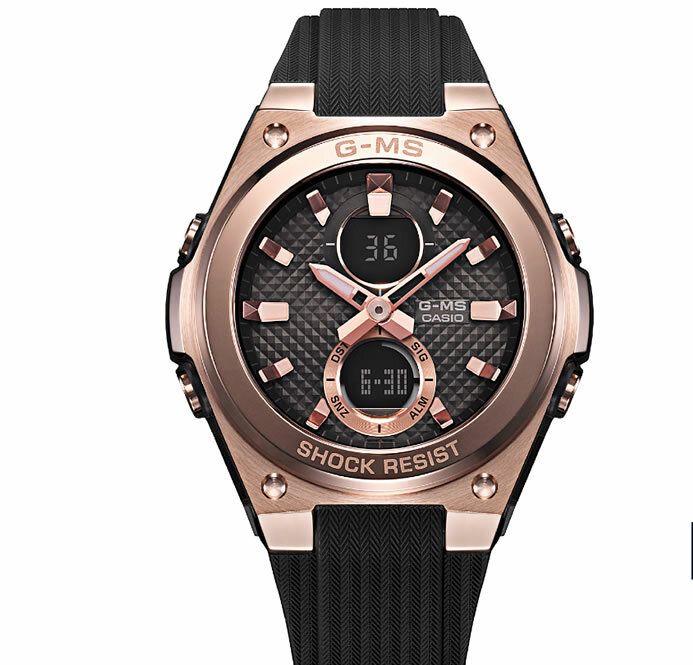 Casio announced today the release of its latest additions to the BABY-G line of women’s shock-resistant watches. 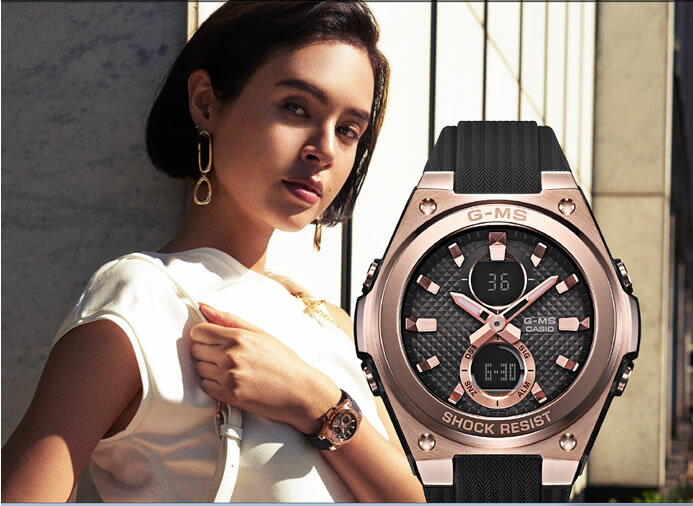 Part of the G-MS series for active, sophisticated women, the new MSG-C100 watches boast a distinct look designed to support today’s resilient, confident women. The Casio MSG-C100 features a generously sized case studded with dimensional index marks, while the dial features a pyramid-cut pattern that enhances the distinct design. In another note of fine attention to every detail, the resin band features a herringbone pattern for a fabric-like look. All of the new MSG-C100 watches boast a shock-resistant construction and water resistance to 100 meters, to support active women in their everyday lives. The dial features two LCDs that can be customized to display the date, day of week, world time or other data of the user’s choice. Two bezel colors are available in different models: the MSG-C100G has a lustrous, feminine pink gold finish, and the MSG-C100 has a cool, sleek silver finish. The new MSG-C100 watches are made for resilient, confident contemporary women who freely enjoy fashion.